Yes, I still have a computer. A TOWER computer. My husband keeps threatening me saying that once it dies he is not going to build me a new one. He says he is going to buy me a laptop. I don’t want a laptop. I love my computer. It has a lot of storage and it has a lot of CD drives and burners. So, I think that will be a tough day when it dies. Recently the fan died. And look at its replacement. Well, it originally had a light, but that went out a long time ago, then the fan died. The replacement, its lovely. Now I know when my computer is on for certain. 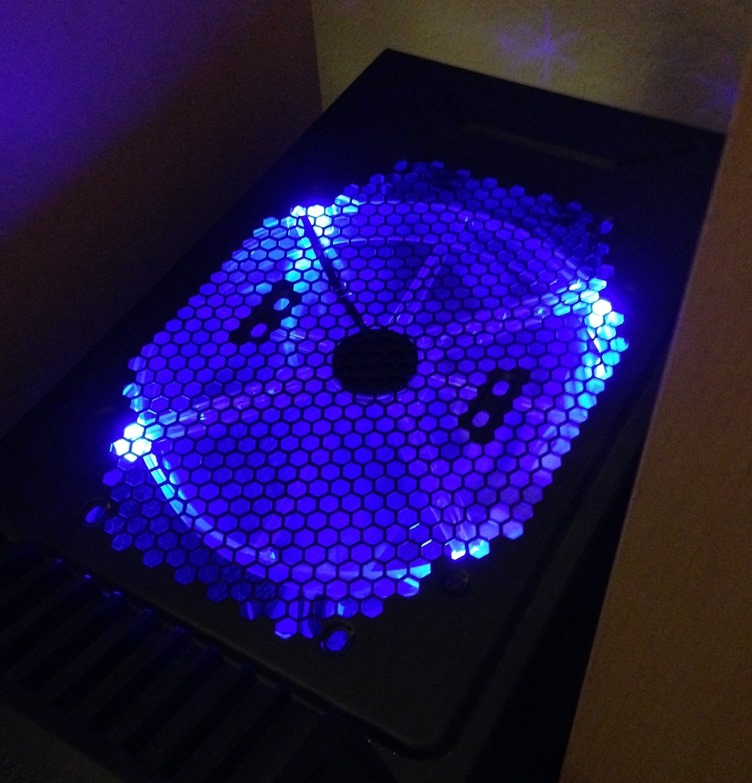 My pretty computer fan is my Friday Photo today. Anyone out there still have a computer?